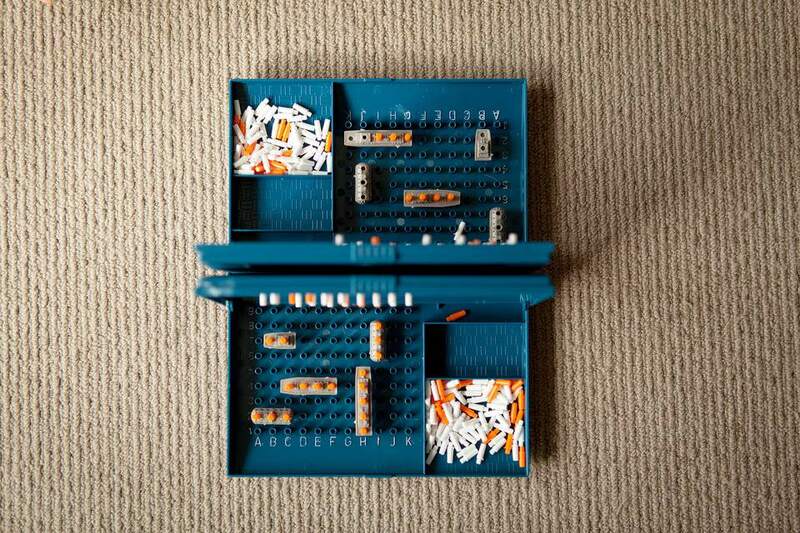 Salvo is the paper-and-pencil game which the classic board game Battleship is based on. A piece of paper and a pencil for each player. Graph paper is helpful, but not necessary. You can also print and use this Salvo board (PDF). To sink all of your opponent's ships before she does the same to you. Each player draws two 10x10 grids on their paper. The grids should be labeled with letters across the top (A through J) and numbers down the side (1 through 10). One of the grids should be labeled "Self" and the other labeled "Opponent." Each player then decides where to place his four ships: a five-space battleship, a four-space cruiser, a three-space submarine, and a two-space destroyer. NOTE: Some players use a five-space battleship, a three-space cruiser, and 2 two-space destroyers. None of the ships may be placed diagonally; they must all be placed in straight lines either horizontally or vertically. It is legal (but not required) for two or more ships to be adjacent to each other. The ships are marked by blocking in the appropriate spaces. Players take turns taking shots at each other. A shot is taken by calling out the coordinates of a space on the 10x10 grid. Each player takes one shot at a time. If the player calls the coordinates of a space where a ship is located, his opponent tells him so by saying "hit." If he missed, his opponent says "miss." Players should take care to mark the shots they take on their "Opponent" grid, and whether each shot was a hit or a miss so that they don't call any space more than once. Players may also mark the "Self" grid with shots taken by their opponent. A ship is sunk when all of its squares have been hit. When this happens, the player whose ship was sunk says, for example, "You sank my battleship." Players take turns taking shots at each other's ships. A shot is taken by calling out the coordinates of a space on the 10x10 grid. The number of shots each player is determined by the number and type of ships she has remaining. The battleship is worth three shots; the cruiser is worth two shots; the submarine and destroyer are worth one shot each. Thus, in the first round, each player has seven shots. Both players simultaneously mark the spaces they want to target on their "Opponent" grids. In the first round, they mark these spaces with a "1," in the second round with a "2," and so on. After both players mark their shots, they take turns announcing the spaces they targeted. The first player announces all of his shots, then the second player does the same. After each player announces the shots, his opponent tells him how many were hits, and which ships were hit. For example, if four hits were scored, he might say, "You hit the battleship twice, the submarine once, and the destroyer once." He does not say which specific shots caused the hits. If the player calls the coordinates of a space where a ship is located, his opponent tells him so by saying, "hit." If he missed, his opponent says, "miss." A ship is sunk when all of its squares have been hit. When this happens, the player whose ship was sunk says, for example, "You sank my battleship." A player with one or more sunk ships takes fewer shots per round. The first player to destroy all of his opponent's ships wins the game.